Do you love making bags? Are you ready to take you bags to the next level? If you're wondering how to create your own professional handles which tone perfectly with your bag, this tutorial will be a great help. Its so easy to make your own handles, have a go! 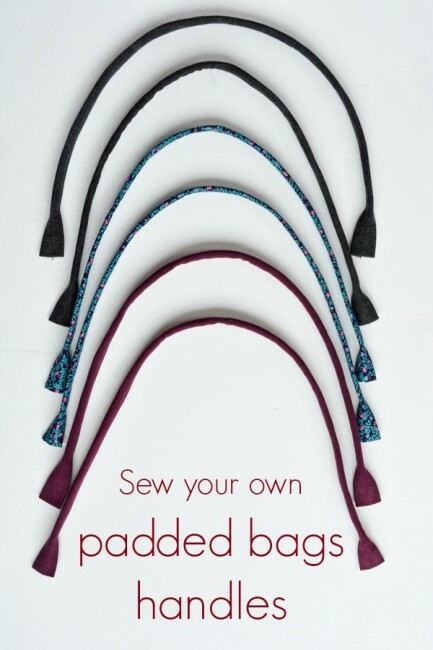 Visit this link over to So Sew Easy to find how to make padded fabric bag handles. The link to the padded handbag handles is missing which makes me so sad–in the past I have made very skinny fabric tubes and threaded plastic tubing through the tubes, which isn’t fun…I would have liked an alternative method.